How about adding confirmation by Twitter in addition to email? We would like to confirm receiving a form by Twitter instead of email or in addition to email. Is this something you guys can quickly add an TWITTER AUTORESPONDER or a TWITTER AND EMAIL AUTORESPONDER option in the preferences for the Submit buttons? Sounds good! I have created a feature request ticket. We will inform you through this thread if any updates will be available. 1. Create an account at http://twittercounter.com/pages/twittermail, you will get an email address like z6lr86-lwas@twittermail.com for your "tweets by email"
2. 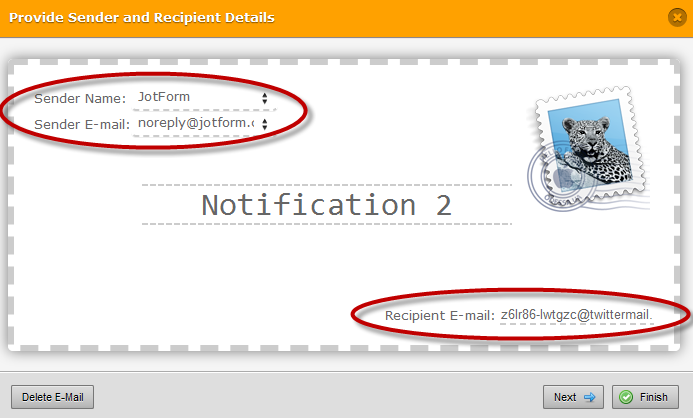 Create an email notification to received @twittermail.com mailbox. 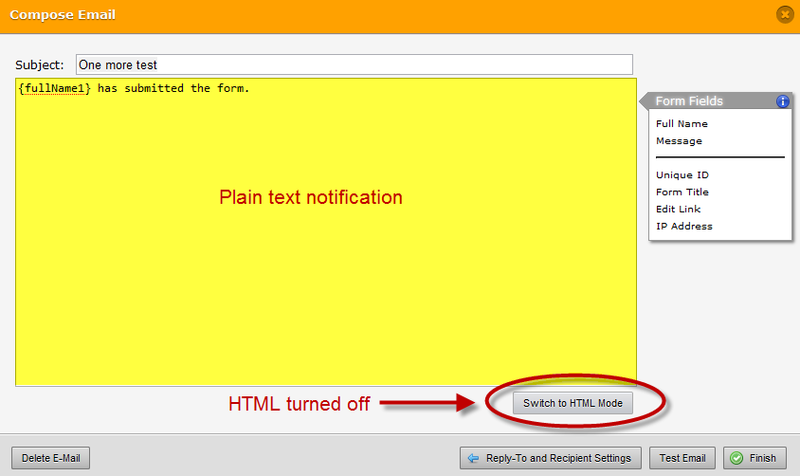 According to my test, notification should be sent in plain text (not HTML). If anything is not clear, please let us know. I think Mike's suggestion is pretty good and solves the problem completely. Please try it and if you still think there is a need for a JotForm based solution, let us know.